Lippy Lucie: Another Contest Entry!! How ﻿lush was that long weekend off!!!? I am terribly sad it is over, I am not ready to go back to work!! So another entry and this one is gorgeous! 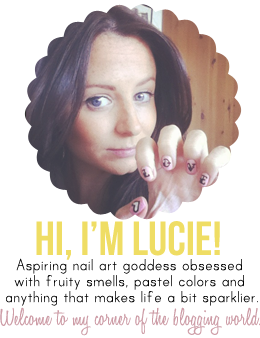 Submitted by Lindsay from Nailtopia - check out her blog its great!! Lindsay was inspired by a pattern from shirt she owns and she even included a pic of the shirt which is fab!! I really love the colours used in this design and she has got them to look SUPER shiny! Good work and Good Luck!! !